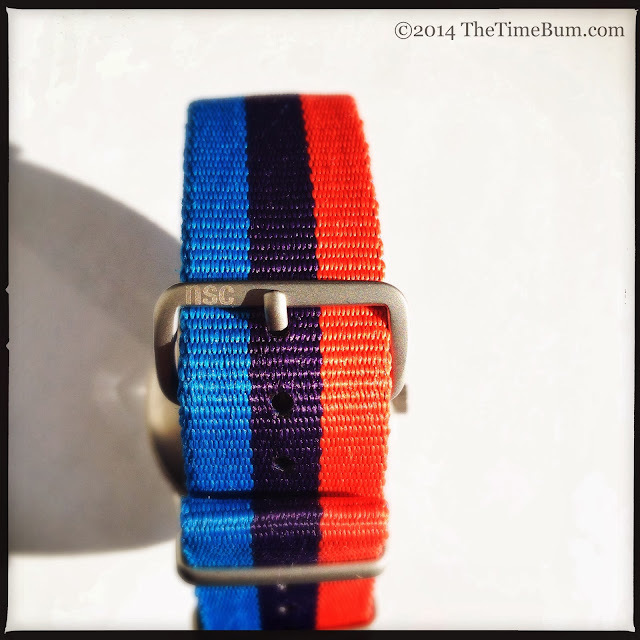 Le Mans and M-Technik Straps from NATO Strap Co. Faithful readers of The Time Bum know that I am as much a gear head as I am a watch nut. In fact, the only reason I collect watches instead of cars is because they are easier to store. 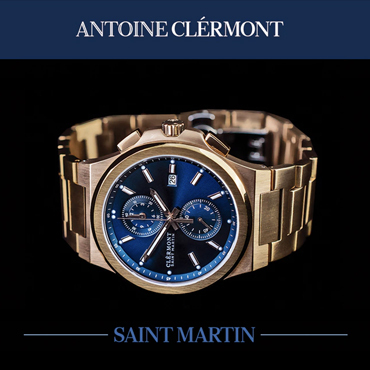 Well, that and the fact that watches are a bit more affordable. Last year, when The NATO Strap Company of Sherman Oaks, California (now owned by Panatime of New York) solicited the Watchuseek Affordable Watches forum for new strap ideas, I immediately piped up with two auto racing designs that were high on my wish list: the Gulf Racing livery, and the BMW M tricolor. It seems I was not alone, because by year's end, they had released the Le Mans and M-Technik limited edition NATOs, available in 18, 20, and 22mm lengths for $16 each. For those readers who do not swoon at the scent of motor oil and burning rubber, a little history lesson may be in order. 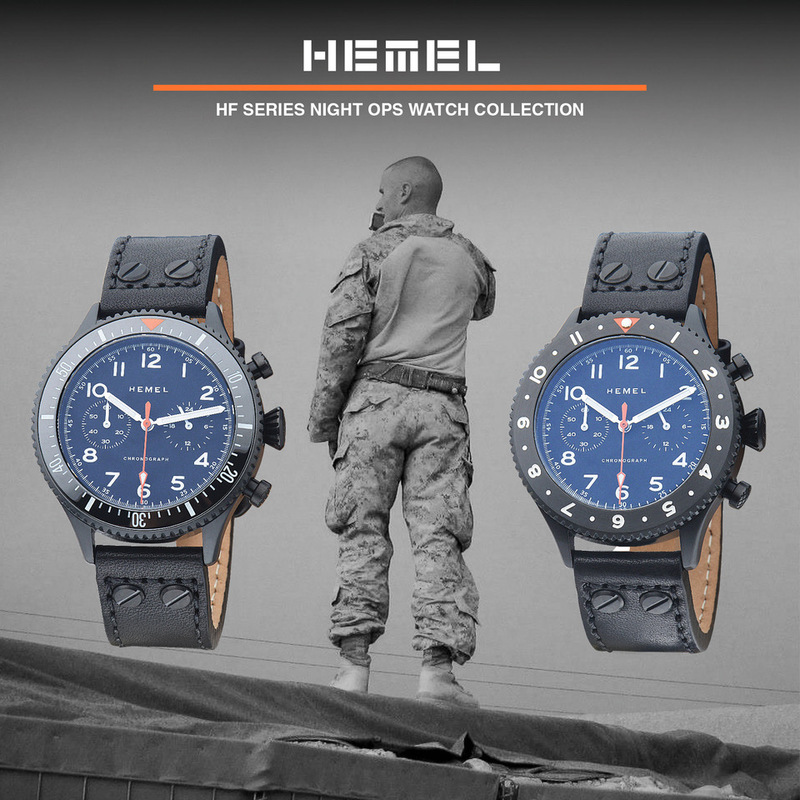 The Le Mans strap is pale blue with a bright orange center stripe trimmed in black, just like the paint scheme of the Ford GT40s campaigned by the John Wyer Racing Team that won the 24 Hours of Le Mans in 1968 and 1969. In 1970, Wyer switched to the Porsche 917 Longtail, which was also enjoyed a successful racing career, even though it did not win that prestigious race for Wyler - except in Hollywood. In the movie Le Mans, Steve McQueen's character drove a blue and orange 917 to victory and into pop culture immortality. The livery has been used on Gulf sponsored race cars ever since, including the Gulf Racing MacLaren, Aston Martin, and Lamborgini endurance racers competing today. The red, indigo, and bright blue, of the M-Technik strap draws its inspiration from the BMW racing colors. BMW formed the Motorsport (now simply "M") division in the 1970s to support its racing efforts. Texaco was a partner at the time, so the tricolor was formed using the Texaco red, the BMW/Bavarian flag blue, and a mix of the two. The colors have been featured on both factory racers and on the badges of BMWs high performance M cars such as the M3, M5, and M6. The straps are medium weave nylon that feels a bit stiffer and more substantial than that of a typical NATOs, but short of the heavy material of a Zulu strap. 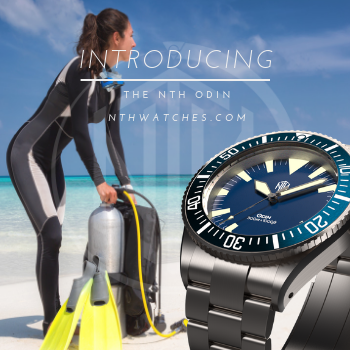 They are a traditional NATO design with slim, squared keepers, and a secondary retaining strap. 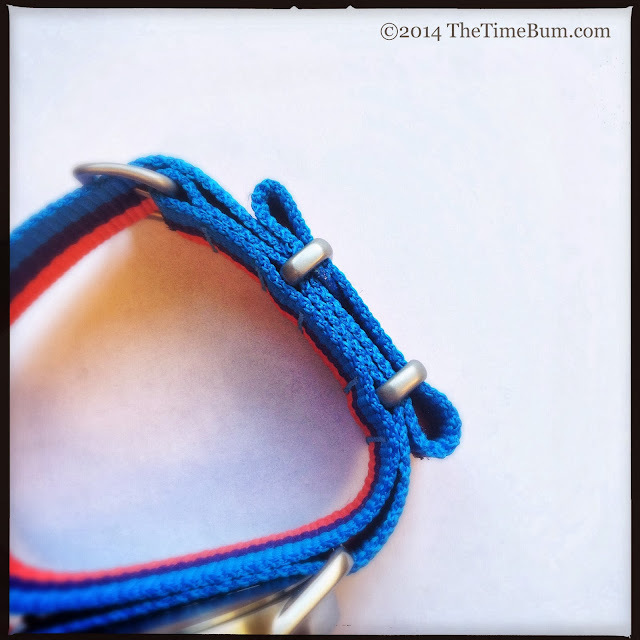 The hardware is sewn in with color matched thread, and ultrasonically welded. I thought the 300mm (12") length might be absurdly long on my wrist, but by pulling the tail through both keepers and then tucking it back through the first, I was able eliminate the excess. I appreciate the fact that these two straps have matte hardware. The majority of NATO straps are polished, which is perfectly fine, but when you really need a brushed or matte finish, it is not always easy to find, and almost never in the color you want. In this case, the blasted finish makes perfect sense for a racing strap. "NSC" engraving on the buckle is another nice touch that sets these limited edition straps apart from the rest of the inventory. Both straps get it just right, both in terms of color and layout. Ideally, I would have liked to pair them with Rolex Daytonas, or 1970s vintage bullhead chronographs, but sadly, I don't own any. Because I associate the M stripes with the white factory M3s that ran in the DTM series in the late 1980s. I paired it with a very white, brushed case, Nixon Mellor, which showed off the M colors quite well. 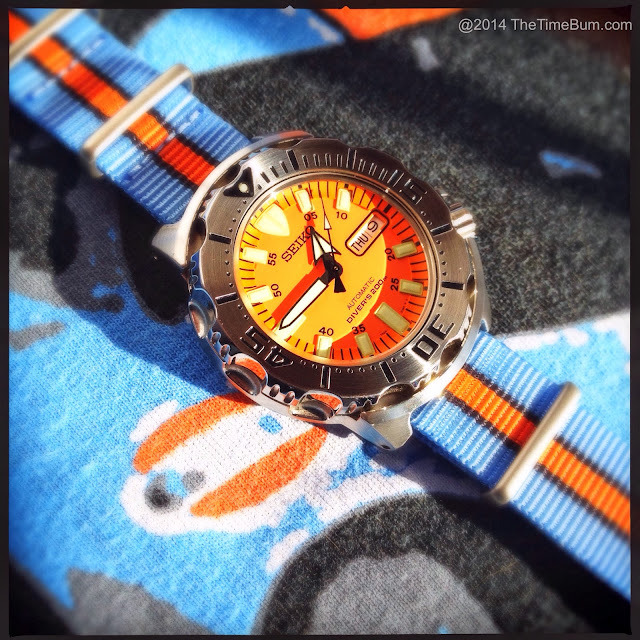 I put the Le Mans onto my Seiko Orange Monster to let the dial and stripe play together. Then I wore it with a Nicolas Hunzinker 1971 Porsche 917 tee shirt. "Wow," my wife exclaimed as she took in the sight, "that is some coordination." I'm not sure she meant that as a compliment, but I took it as one anyway. 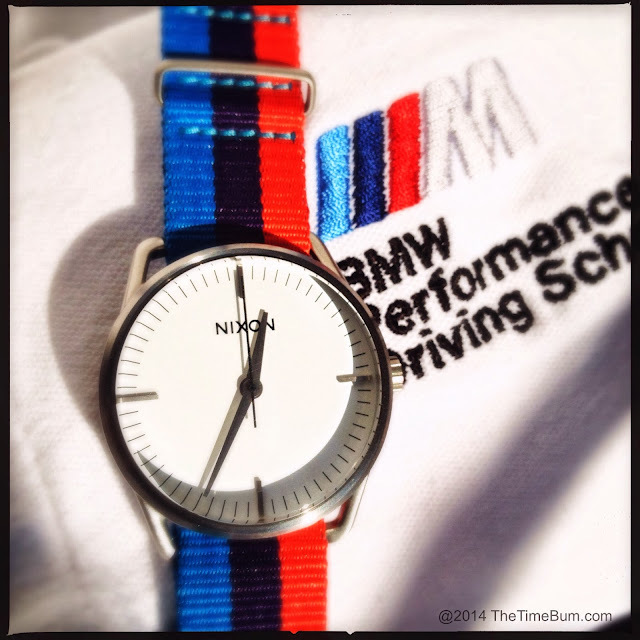 The motor sport straps by NATO Strap Co. are a perfect accessory for the watch nerd / racing fan. 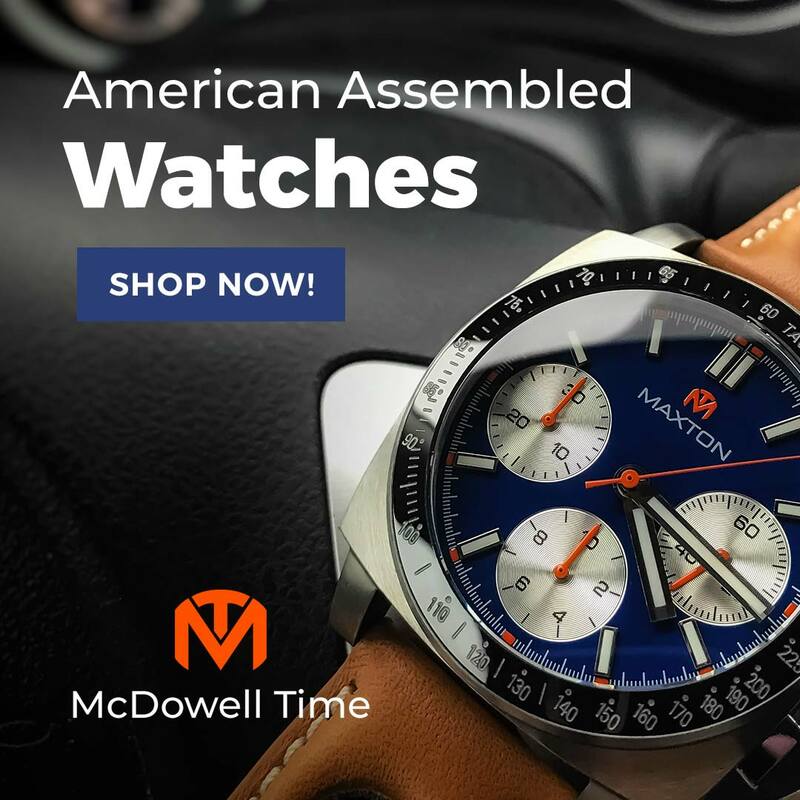 The designs and colors are spot-on, their construction is exemplary, and they equally satisfy the watch guy and the car guy in me. Now I just need the right cars to go with them. Pro: Vintage race liveries done right. Con: Makes me wish there was a green/yellow Lotus strap too.